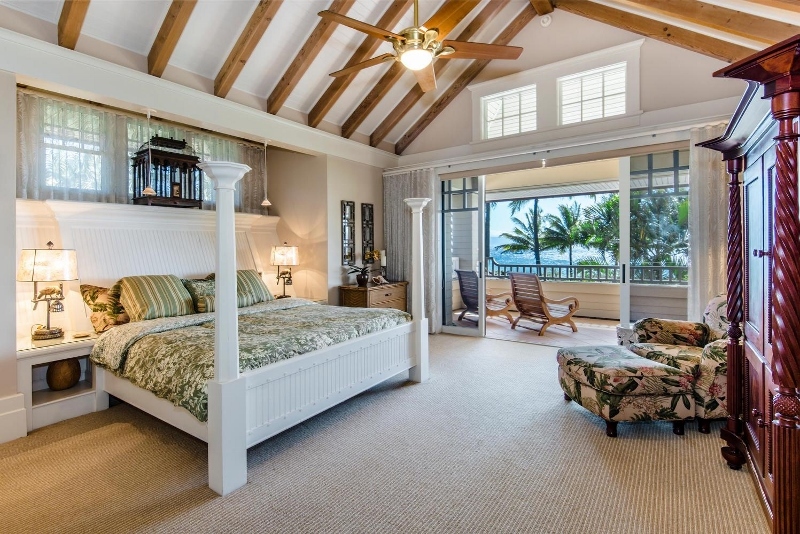 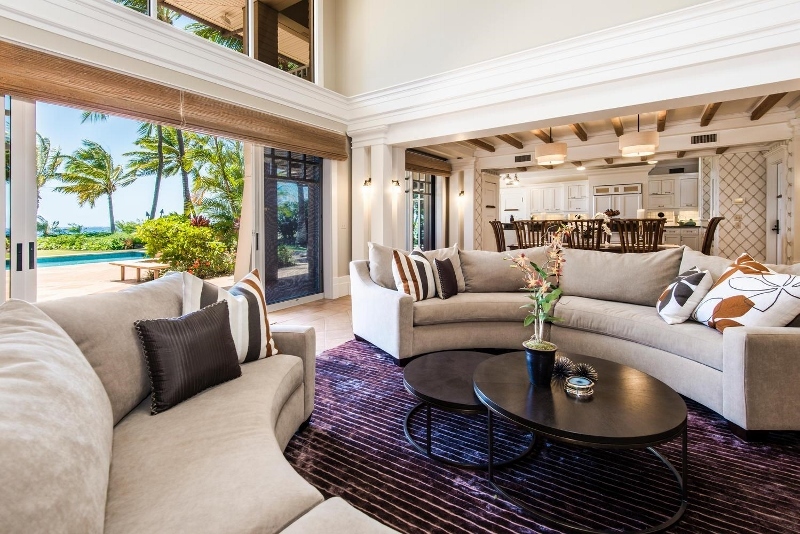 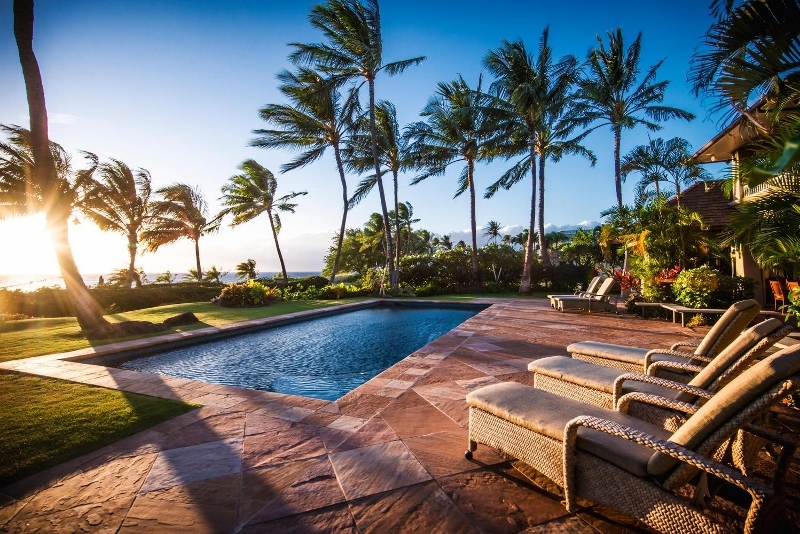 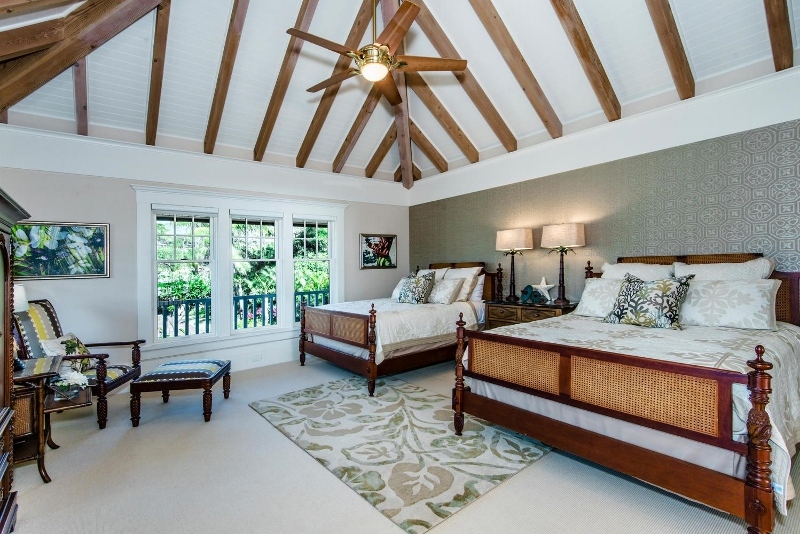 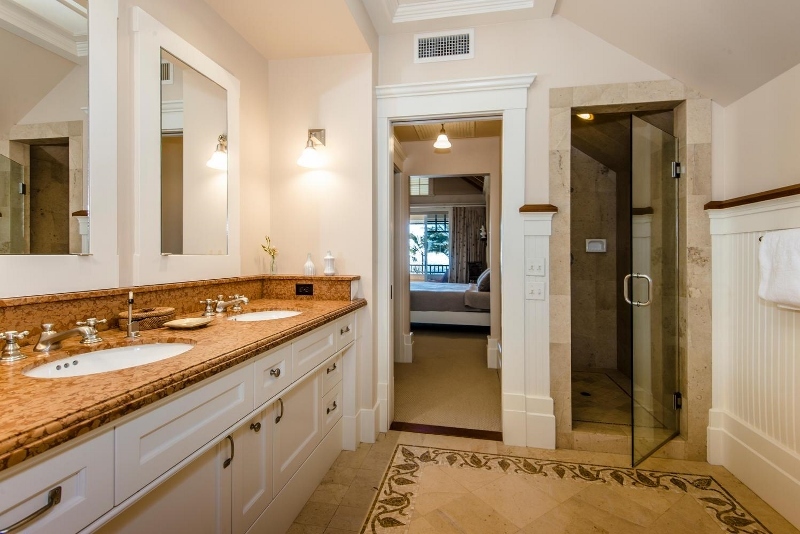 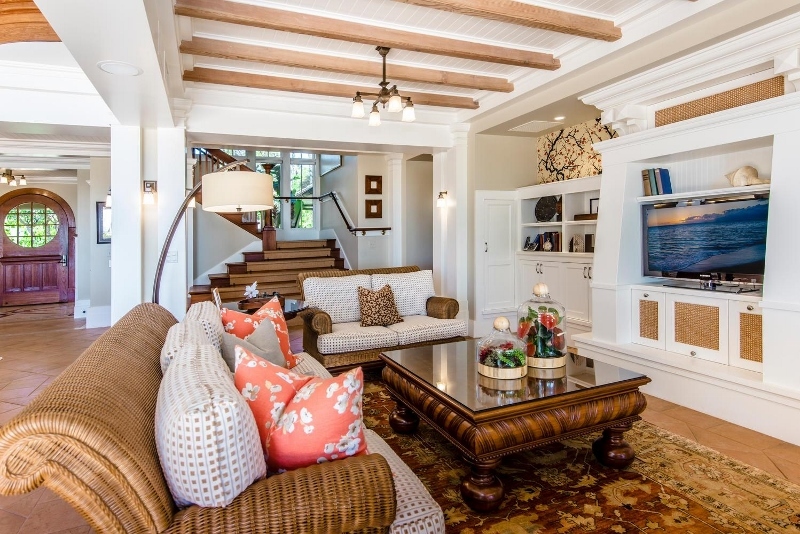 Hawaiiana Hale – Luxury Vacation Homes, Inc.
Hawaiiana Hale is one of the most luxurious and elegant beachfront homes on all of Maui. 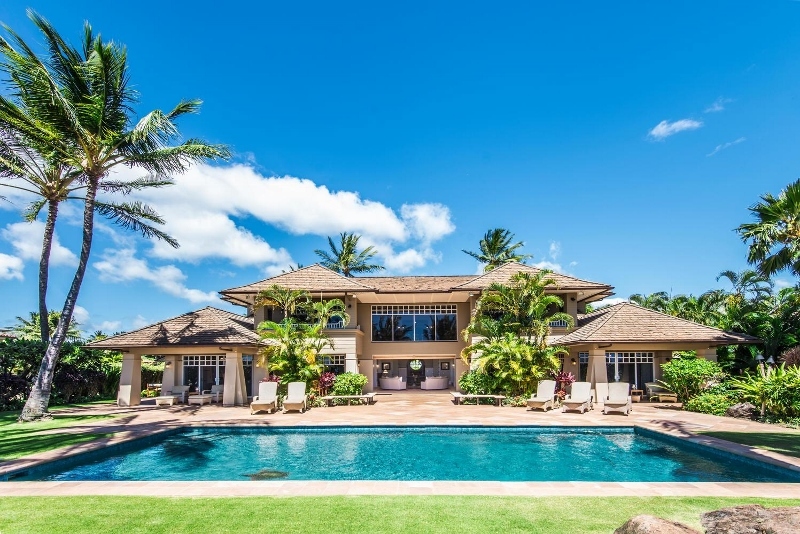 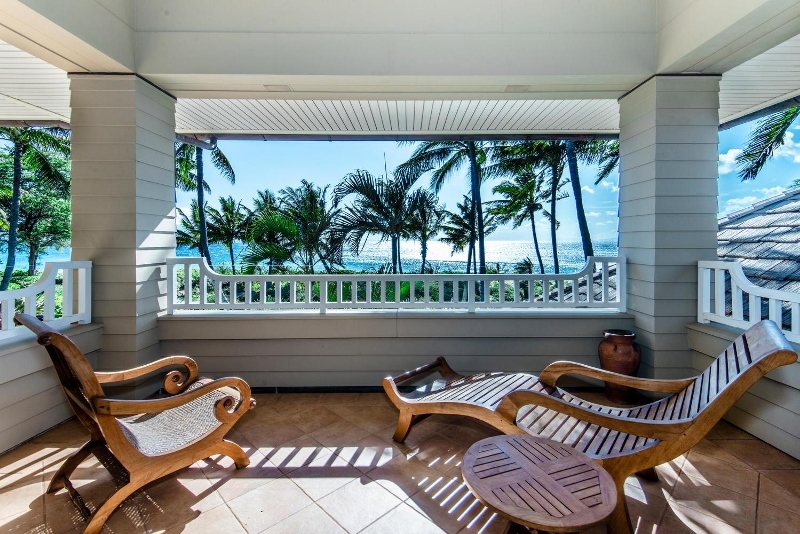 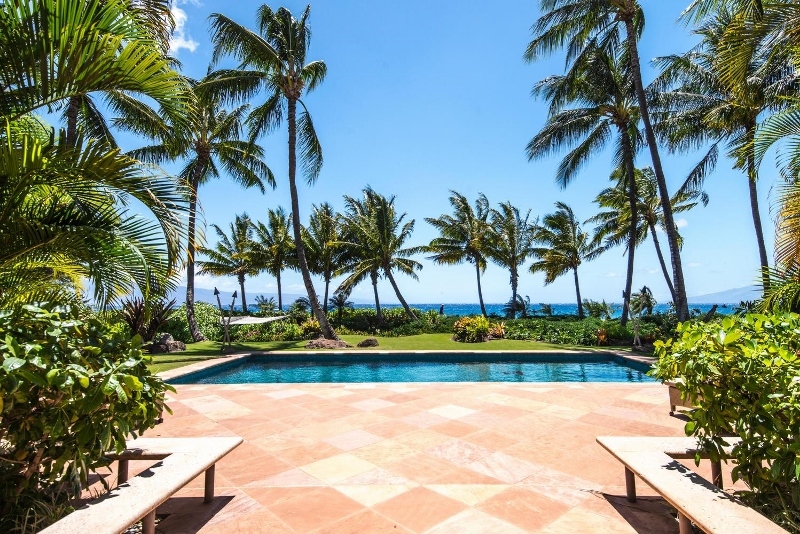 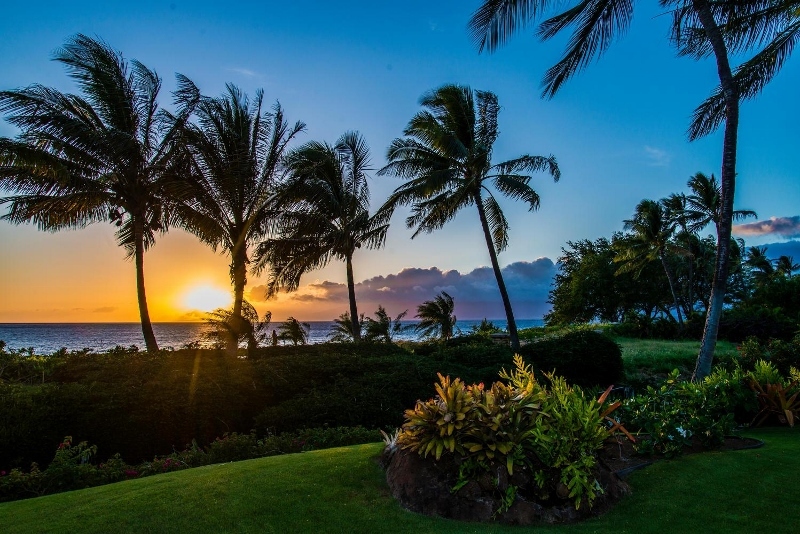 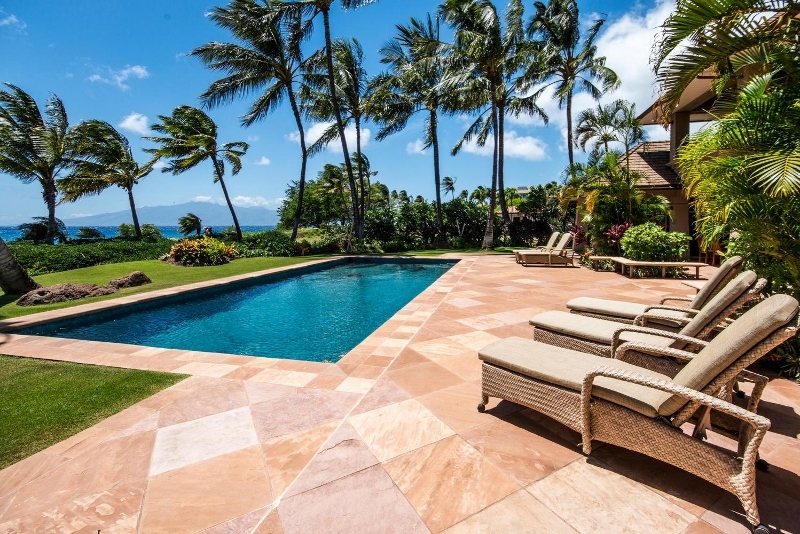 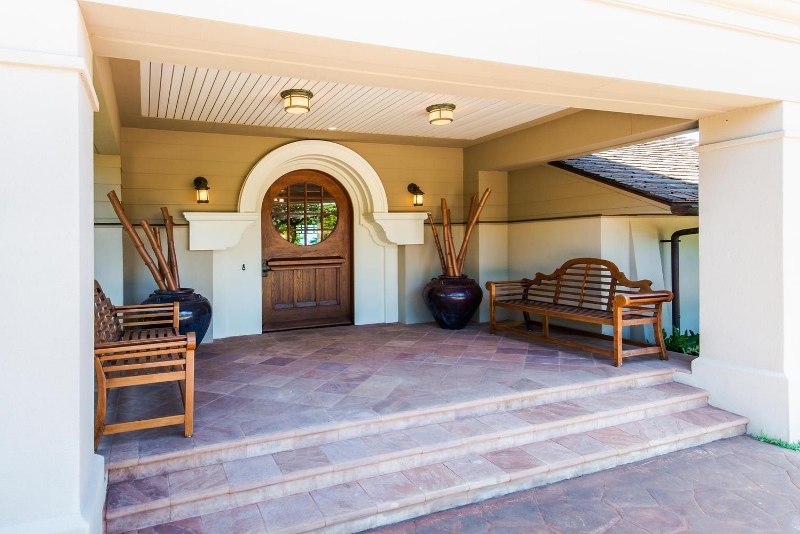 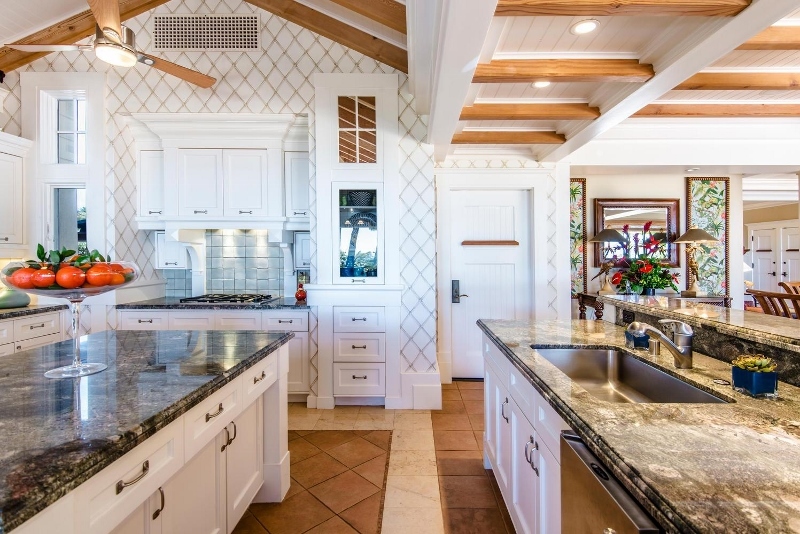 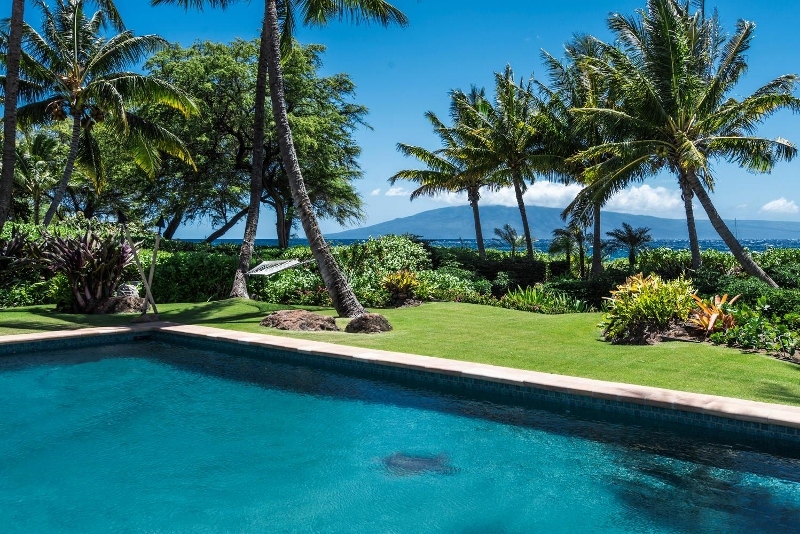 With breathtaking panoramic views that sweep from the golden sands of world class Kaanapali Beach to the warm, calm waters and the islands of Lanai and Molokai, you will experience true paradise at this fabulous property. 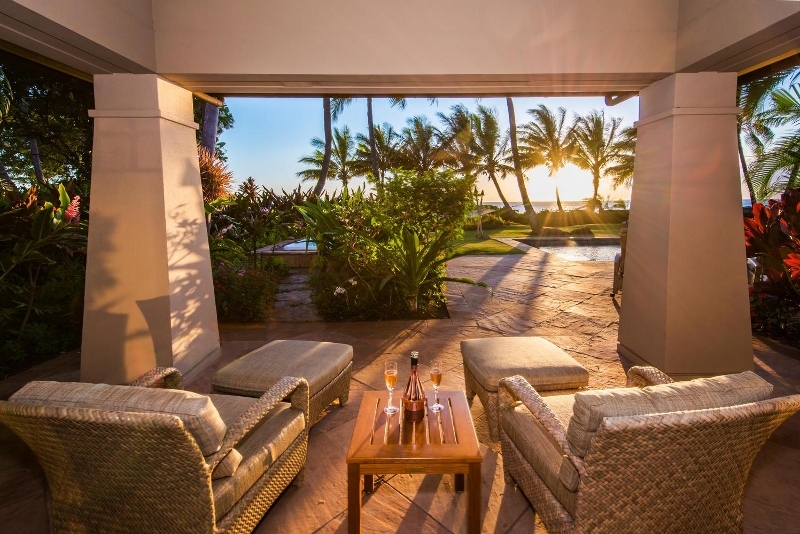 Magnificent sunset views, seaside heated pool and hot tub, lush tropical gardens, and spacious living are all found at this splendid vacation property. 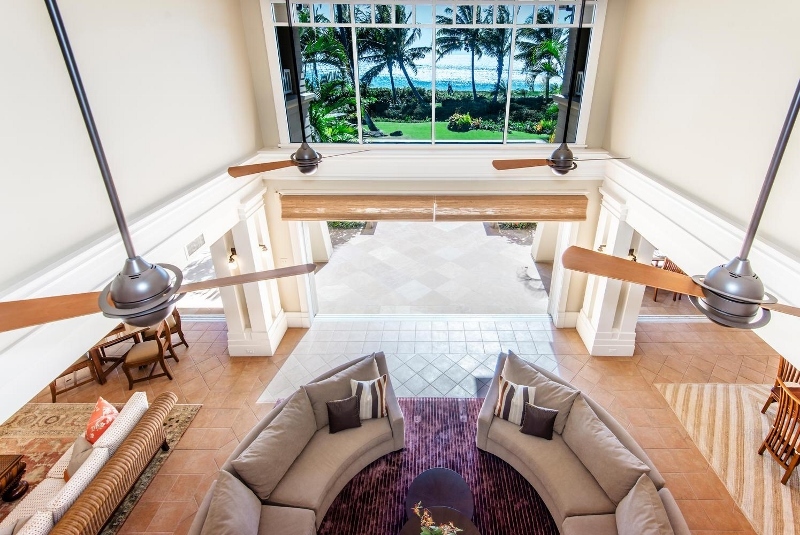 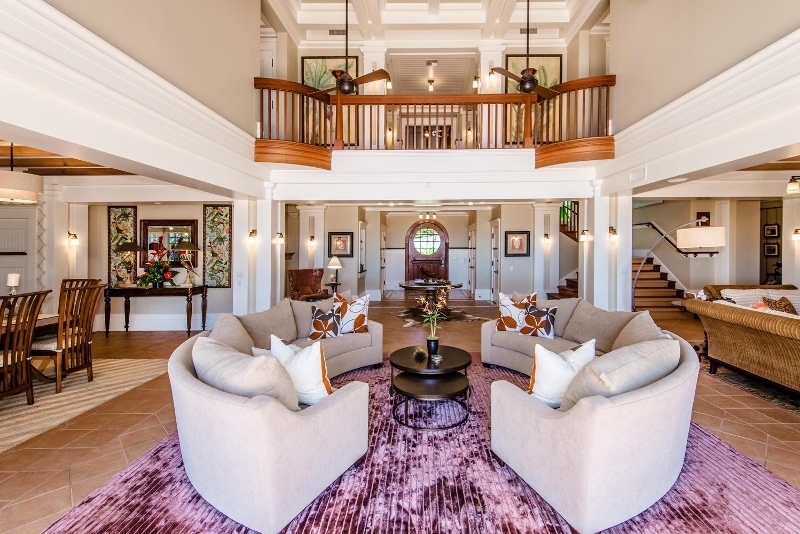 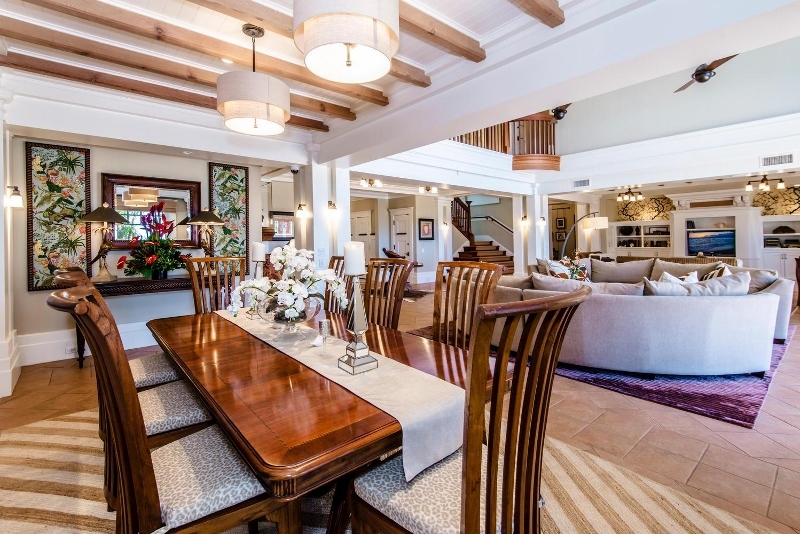 As you enter this extraordinary home, you are greeted by a large, great room and stunning ocean views. 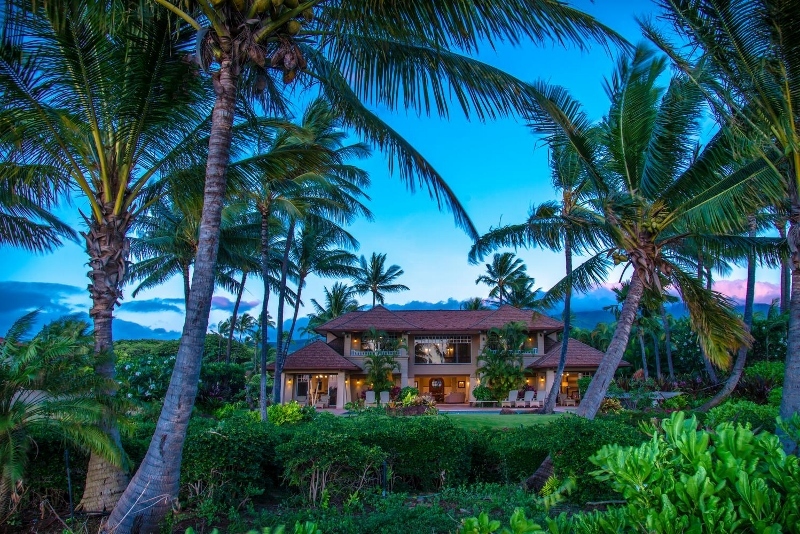 The Pearl of the Pacific’s Hawaiian Plantation style architecture is elegant and meticulously detailed. 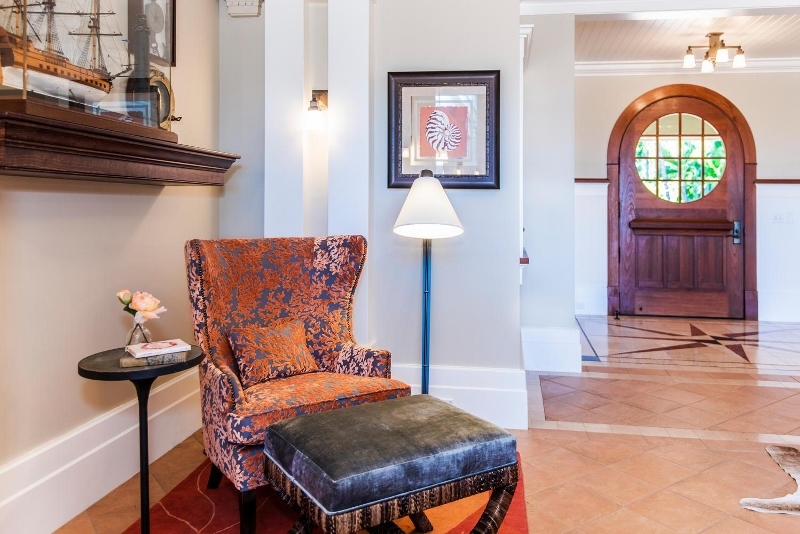 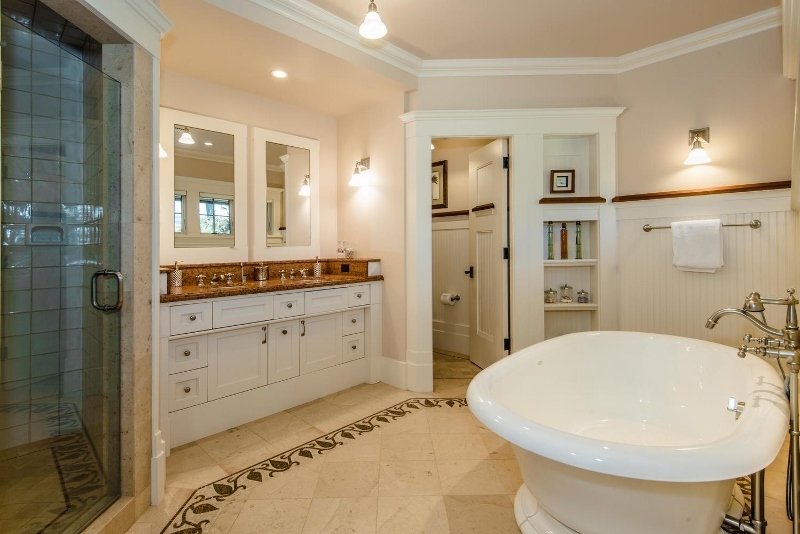 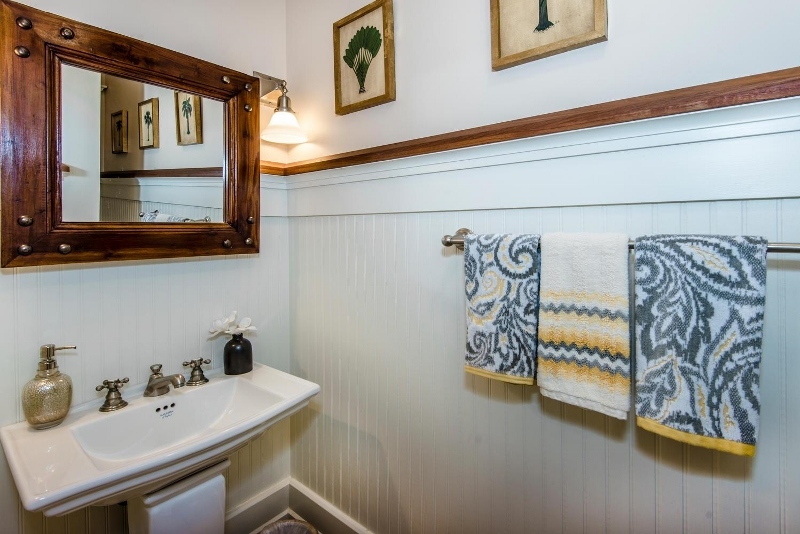 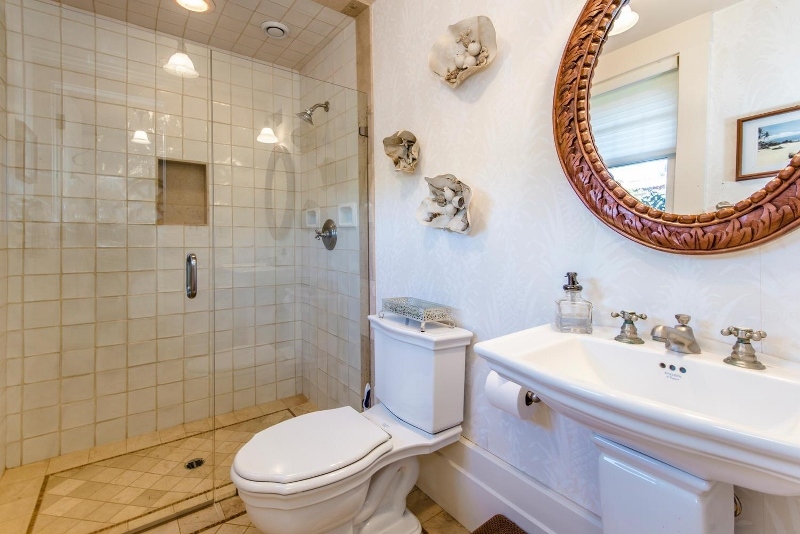 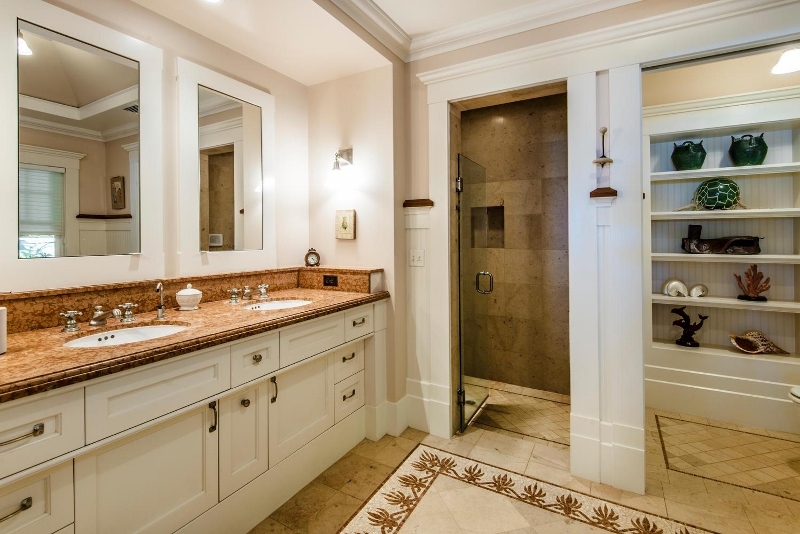 Graceful craftsmanship includes granite and marble floors, mosaic tile, hand-carved teak railings, elegant moldings, period lighting, and Plantation era art. 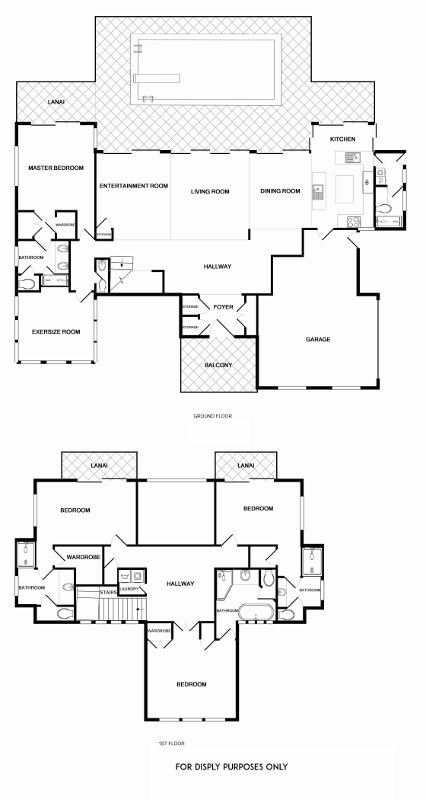 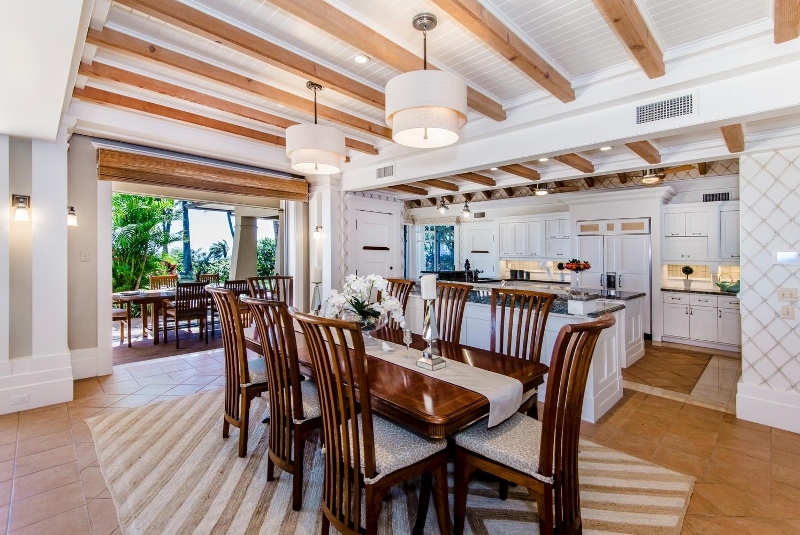 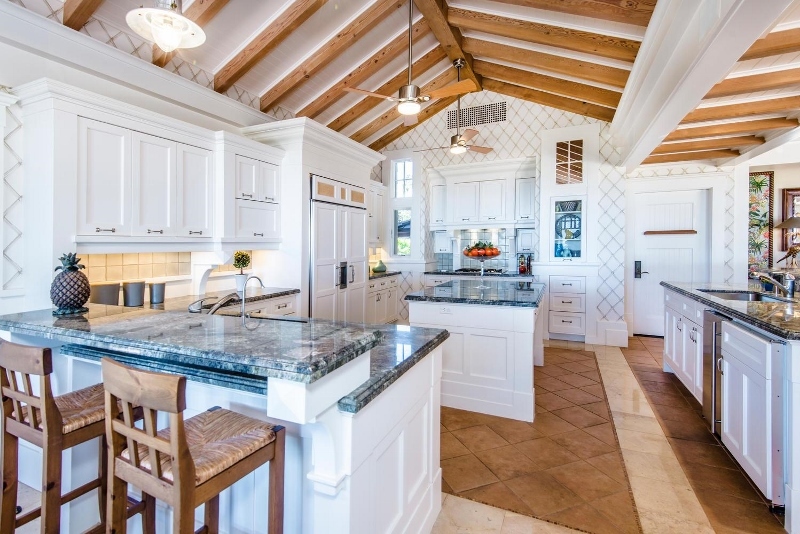 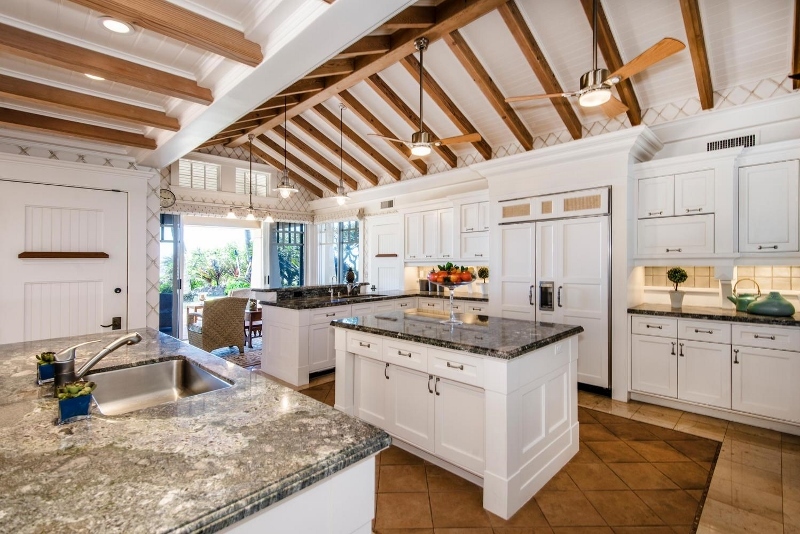 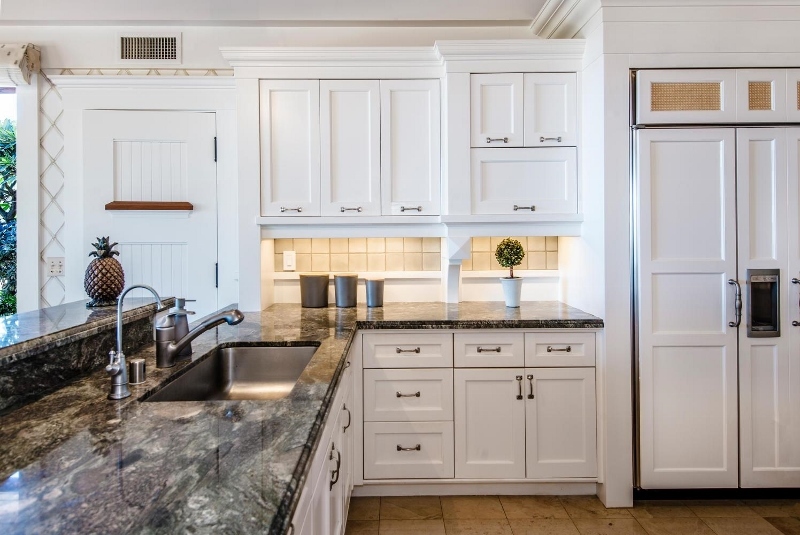 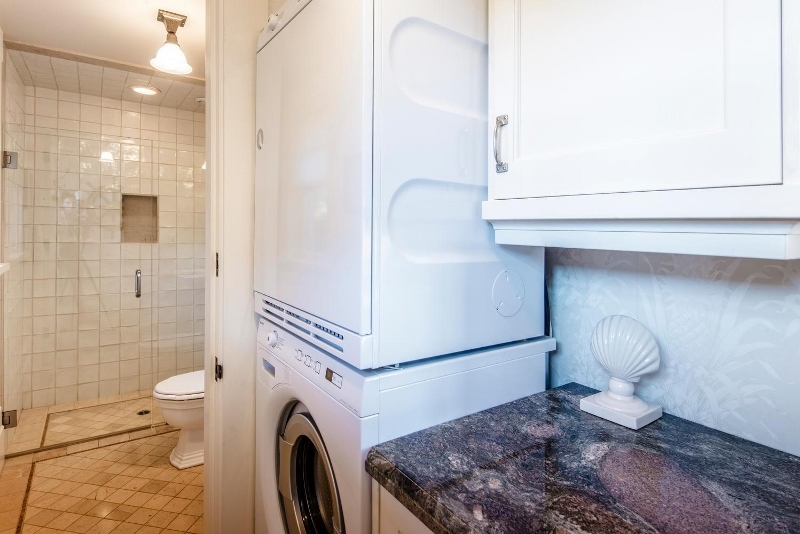 The welcoming, open floor plan includes a gourmet kitchen, formal dining, and several seating areas for entertaining, reading, and gazing at unobstructed ocean views. 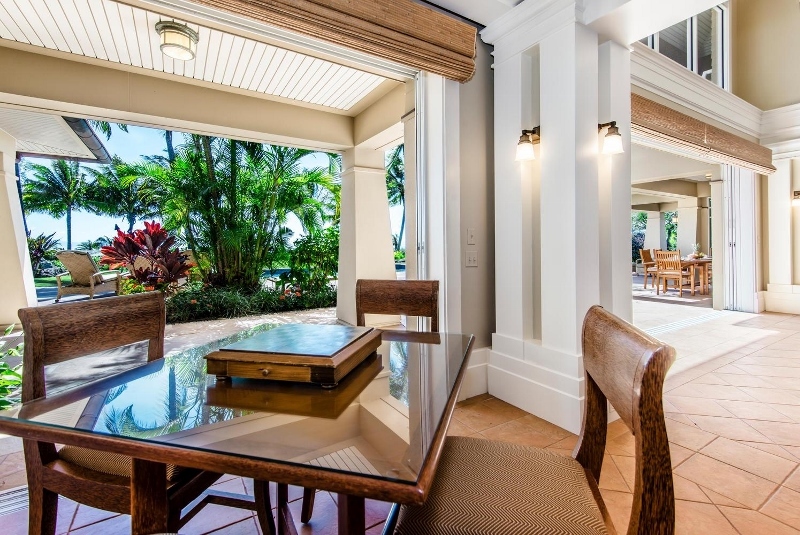 The wonderful poolside lanai provides for endless relaxation and fantastic al fresco dining. 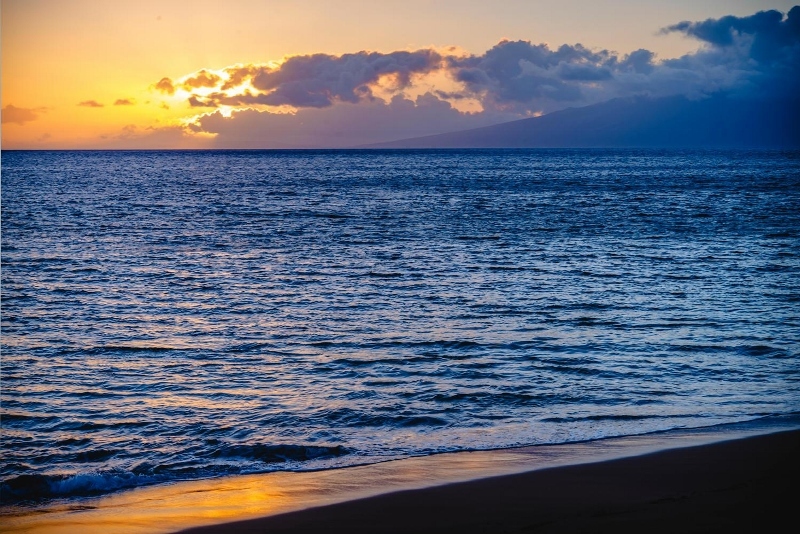 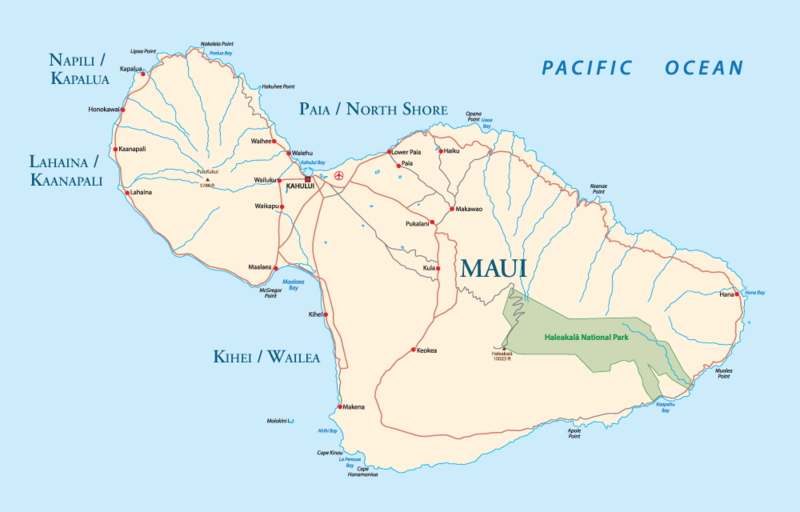 Kaanapali offers ideal weather, perfect for long walks on the beach or taking a dip in the playful ocean waters. 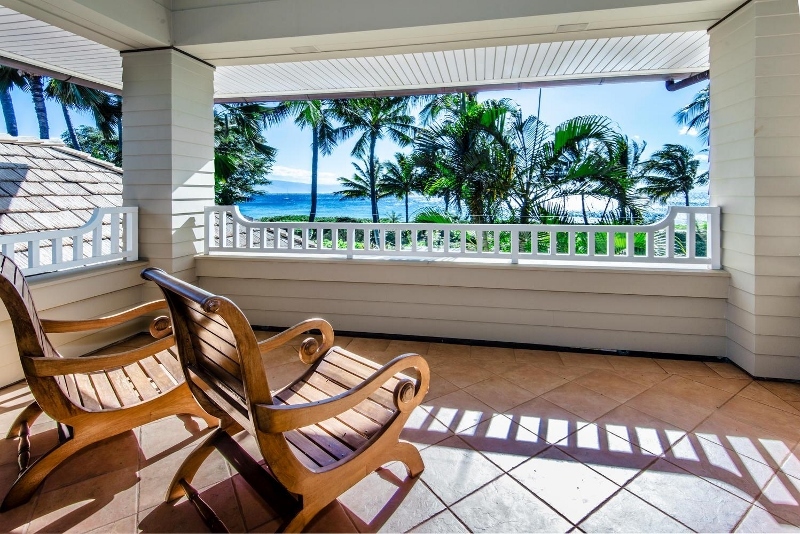 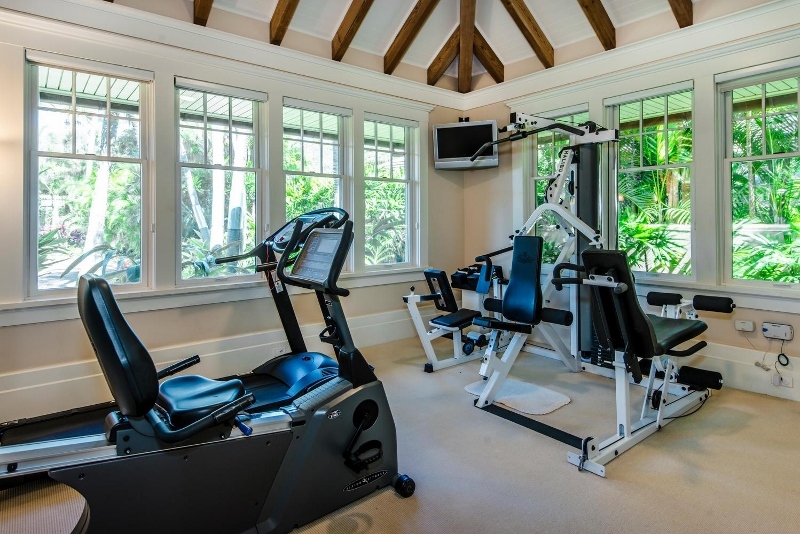 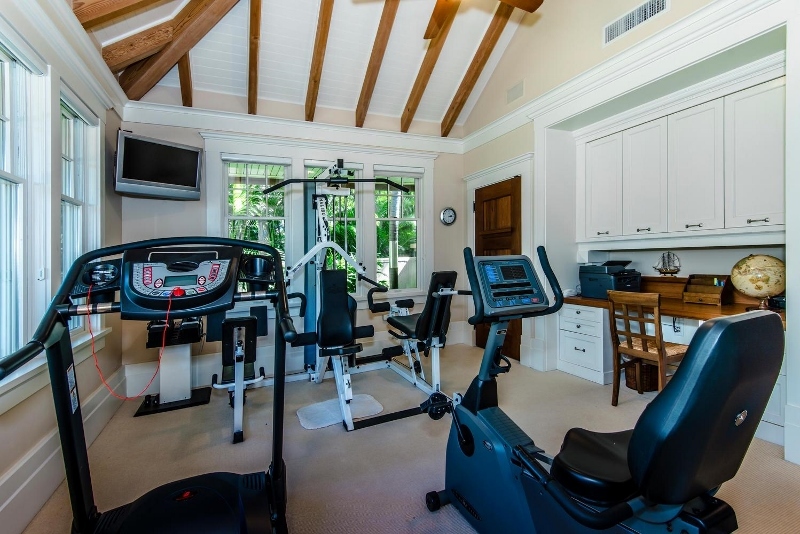 Enjoy the beachwalk in front of the home that makes beachside jogging or strolling easy. 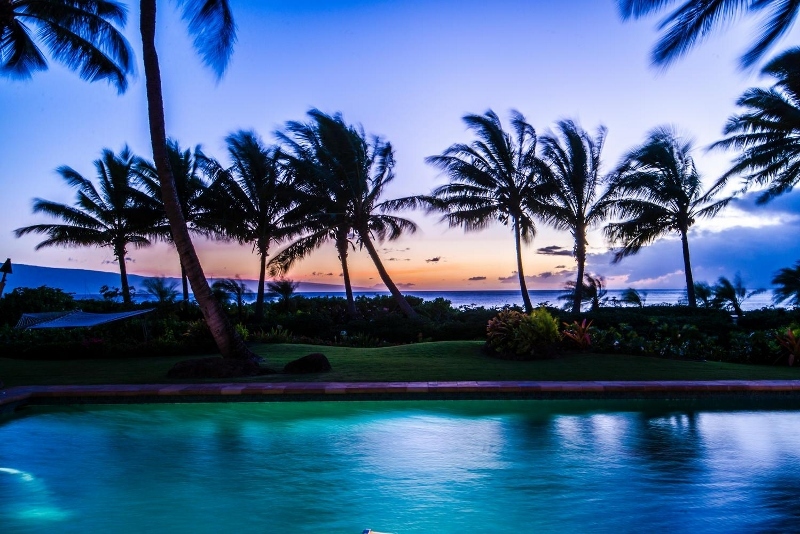 Take pleasure in spectacular snorkeling in the underwater reef just offshore. 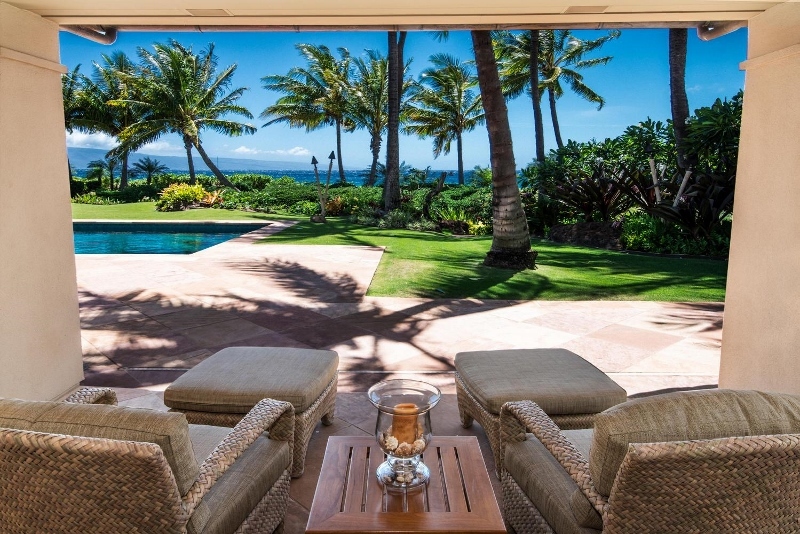 You will never experience whale watching quite like this as you watch the whales breach in your backyard during season. 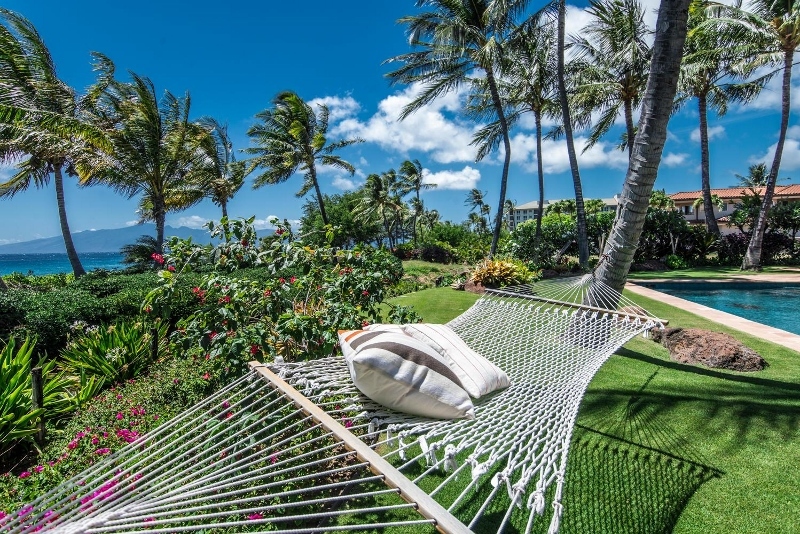 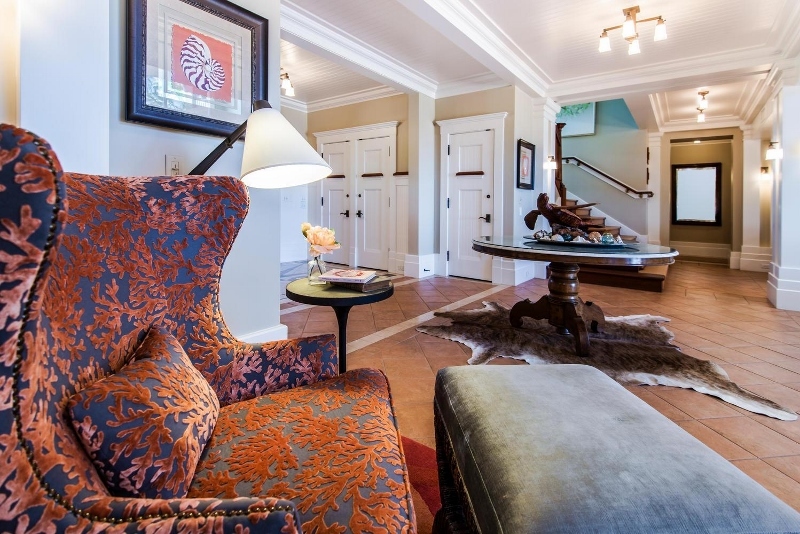 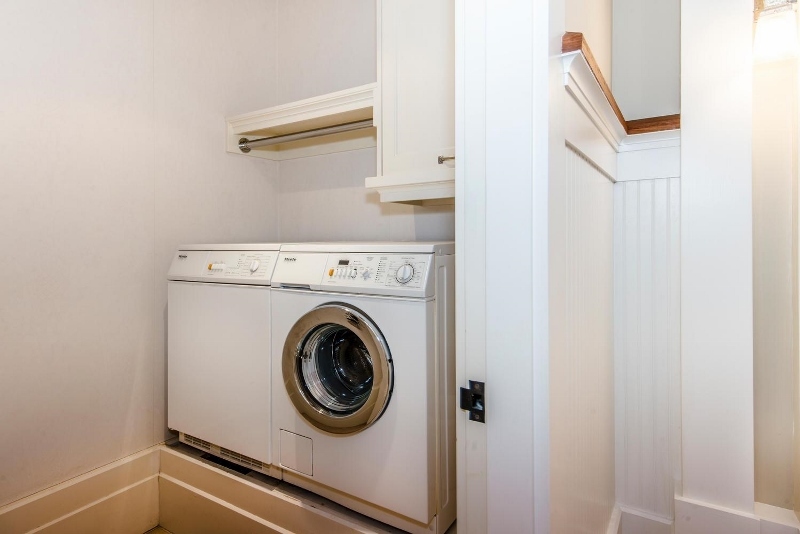 Spend your days lounging at your private heated swimming pool or napping in the hammock. 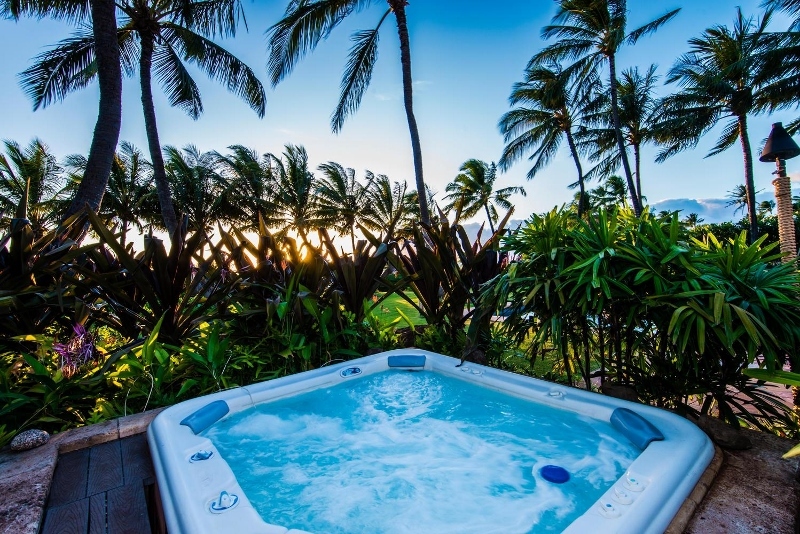 There is a hot tub set in a tropical setting-perfect for soaking your muscles after a day of catching waves. 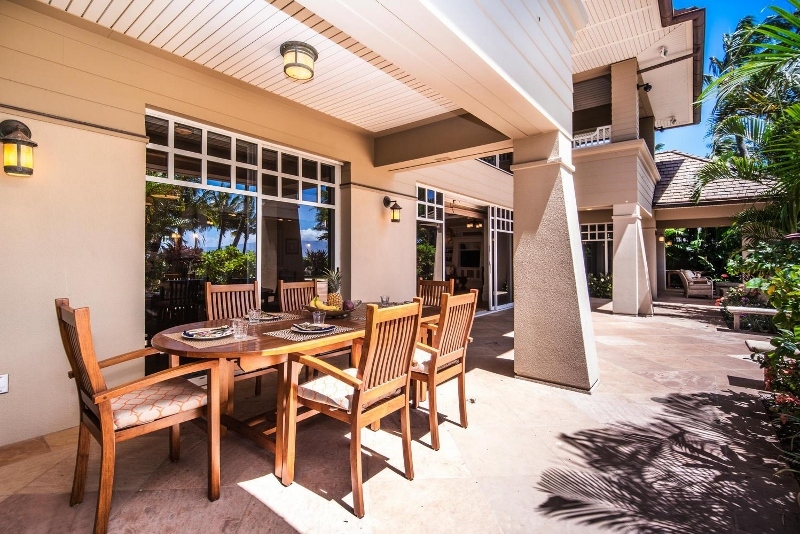 Experience outdoor BBQ’ing and dining al fresco with a large outdoor dining table with seating for eight and large propane grill. 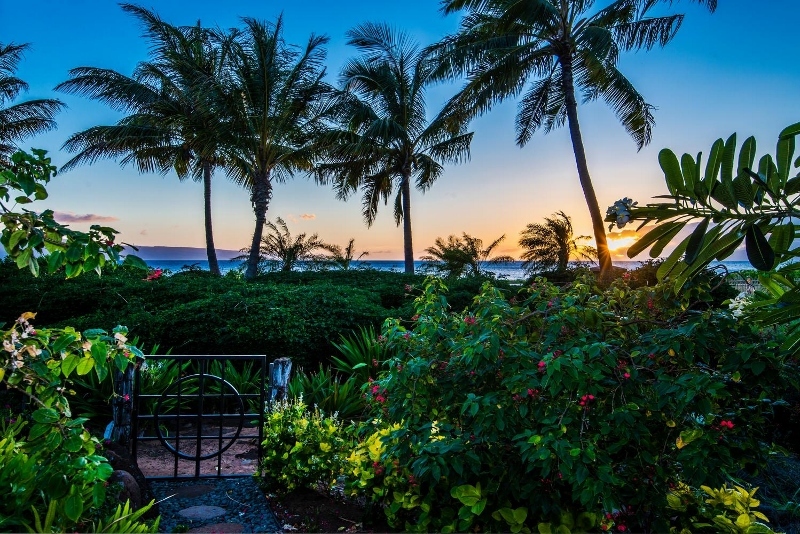 Create your own unforgettable memories at Pearl of the Pacific! 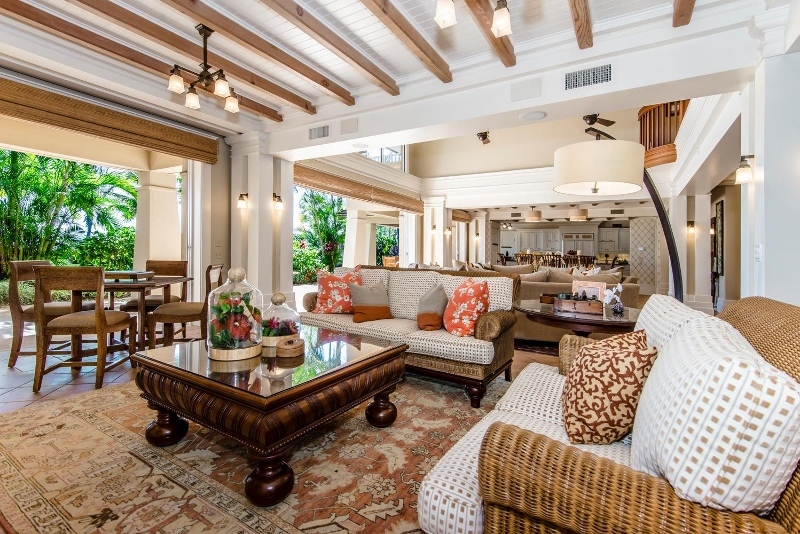 Staff Services: Daily hotel style maid service included. 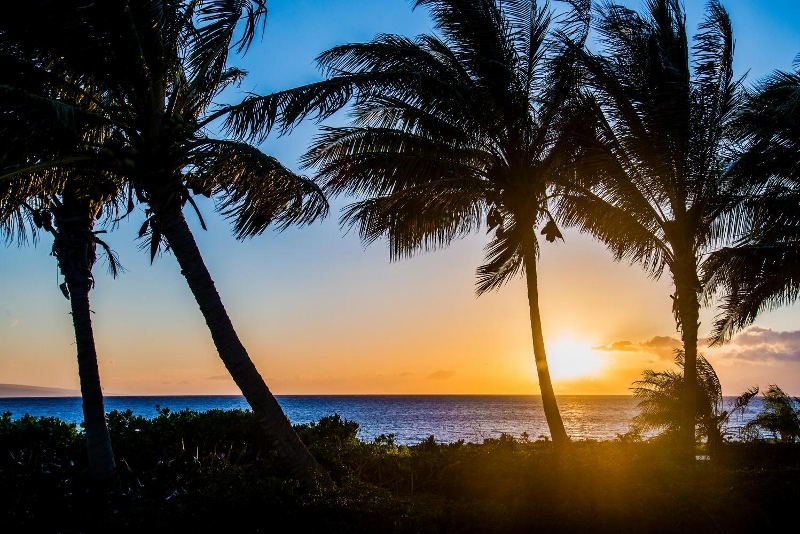 Additional staff services are available at additional cost.